Are you a current homeowner? Have you recently received an increase in your cash flow – whether it was through an inheritance, raise, bonus or settlement? If so, you may want to use that money to help pay off your Hamilton mortgage. 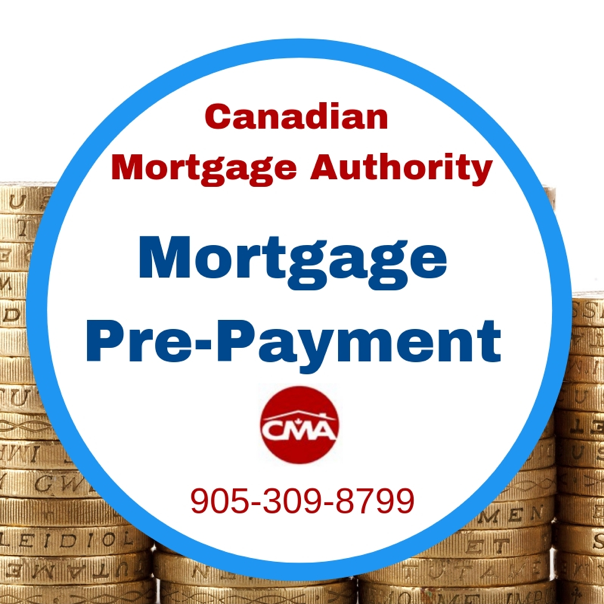 To help provide some insight into the process of pre-paying your mortgage, your local mortgage brokers here at Canadian Mortgage Authority have explained what exactly a mortgage prepayment is and what penalties can be associated with it. What Is A Mortgage Pre-Payment? A mortgage pre-payment is when you pay more than the allotted amount towards your monthly payments or you pay an upfront lump sum. Borrowers may want to pre-pay their mortgage to help them shorten their amortization period or decrease the amount of interest owed on their mortgage loan. The monthly pre-payment provision is where you increase the amount of your regular payment. The lump sum pre-payment plan is where you pay a specific amount towards your mortgage principle. The amount allowed for a monthly pre-payment can range anywhere from 0 to 100% of your regular payment depending on the “pre-payment privileges” outlined in your original mortgage agreement. This means that if 100% is approved, you could double your monthly payments. For a lump sum pre-payment, your range can vary from 0 to 20% annually. This means that if 20% is allowed, you would be allowed to pay an additional 20% of your original mortgage amount every year. On closed, fixed term mortgages any amount that you pay above the amount of your “pre-payment” privilege prior to the end of the term, will typically be subject to a penalty. The calculation for determining this penalty should be outlined in your original mortgage agreement. It is important that you discuss this with your mortgage broker in Hamilton when considering refinancing an existing mortgage, as well as, when looking for a new mortgage. Pre-payment privileges are an often over looked part of mortgages, both by clients, banks and brokers for that matter. Many of the “ultra” low rate mortgage offers you see have extremely limited pre-payment privileges. If you have to sell your home or want to refinance before the end of your mortgage term the penalties on this type of mortgage can be outrageous. These lenders will offer a low upfront rate knowing that many of the clients will have to break the mortgage early so they more than make up for the low rate offering. Make sure that you receive the expert advice you deserve regarding pre-payment privileges and penalties on your current and new mortgage through your mortgage broker in Hamilton. If you wish to find out more information on the pre-payment terms or if you are interested in applying for a Hamilton mortgage, please contact the Canadian Mortgage Authority team at 905-309-8799.